Thanks, Mail Carrier | National PTA and LifeLock Partner to Encourage Families to #ShareAwesome! 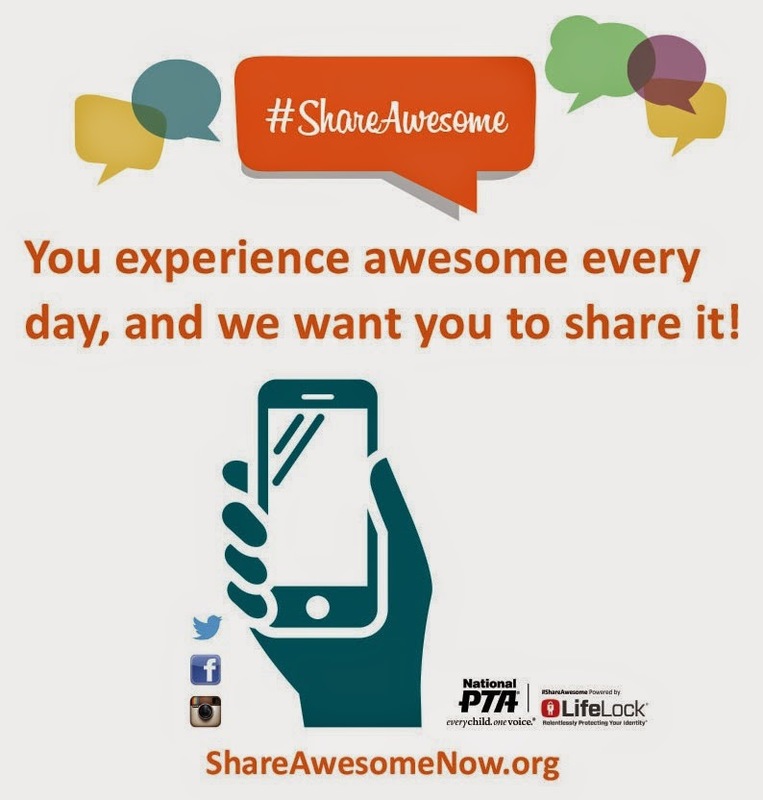 National PTA and LifeLock Partner to Encourage Families to #ShareAwesome! While I envy some aspects of my daughters' childhood (e.g. the advancements in technology), there are others that make me relieved that things were different a few decades ago (e.g. the fact that lockdown drills are a necessary part of school safety these days). Another way of life that is very different than from when I was growing up is the way that just about every action, event and choice that is made can instantly be documented and shared with the world. Instead of just fretting about not having the cool brand of jeans like we did back in my day, kids now have to deal with everything and anything — positive and negative — that social media makes possible. But wouldn't it be great if digital technology and social media were used much more for good than it seems they are now? They are so easily intertwined with so much of our lives (learning, socializing, gaming, shopping, etc), that the opportunities for making positive, safe decisions for the entire family are everywhere we look. 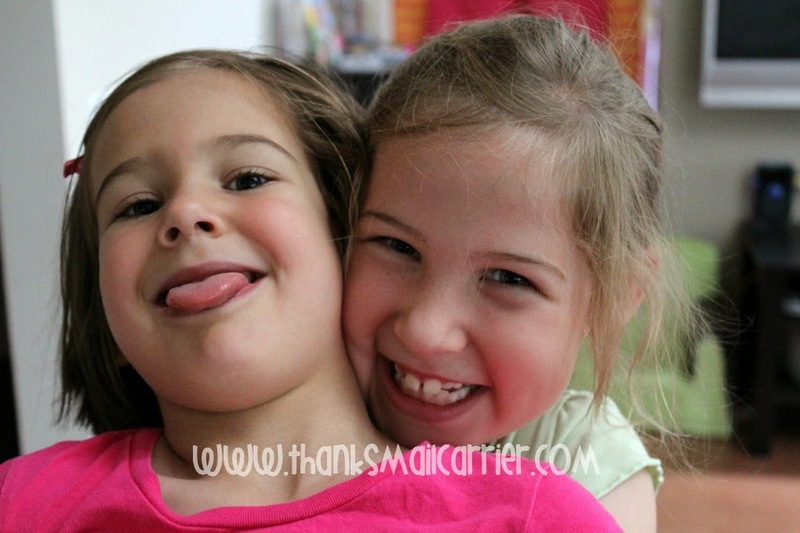 So, instead of the wonder and the worry about what our children are doing with their access to the internet, it's time to embrace the way that everyone can benefit from the happiness and joy when you #ShareAwesome! National PTA has partnered with LifeLock to create their #ShareAwesome campaign, a way to build a better understanding among parents and students that no matter the device, the app or the networking site – the skills we need to be safe and positive online are similar to what you need offline. With a goal to bridge the conversation gap about online safety and good digital citizenship and shift the dialogue from preachy to a fun part of everyday life, #ShareAwesome is all about inspiring an open, evolving discussion about positive, safe decisions when using digital tools. Whether at home, at school or at work, if everyone from children through adults only used digital media and tools for good, wouldn't it make the world a happier place? I, for one, love seeing when friends share awesome moments online! Whether it be a new baby, a vacation picture, an update on a job interview, a birthday celebration, a sweet scribbled note from their little one or many more, they never fail to bring a smile to my face. In return, I tend to believe that the safest decision that I can make on social media is to not post anything that I have any hesitation on. But of course that doesn't mean that I can't show my kids that it is okay to share when it is an awesome decision, moment or person... namely when they themselves are the source of my happiness! Ready to get involved? Head over to ShareAwesomeNow.org to find out more and take part in #ShareAwesome today! But, wait! Not only will you be encouraging friends and loved ones everywhere to make smart, safe online decisions, but it just might win you a great prize at the same time in the #ShareAwesome Contest! That's right! Simply snap a photo of an awesome moment in your day and share it on Facebook, Twitter, or Instagram with the #ShareAwesome hashtag. 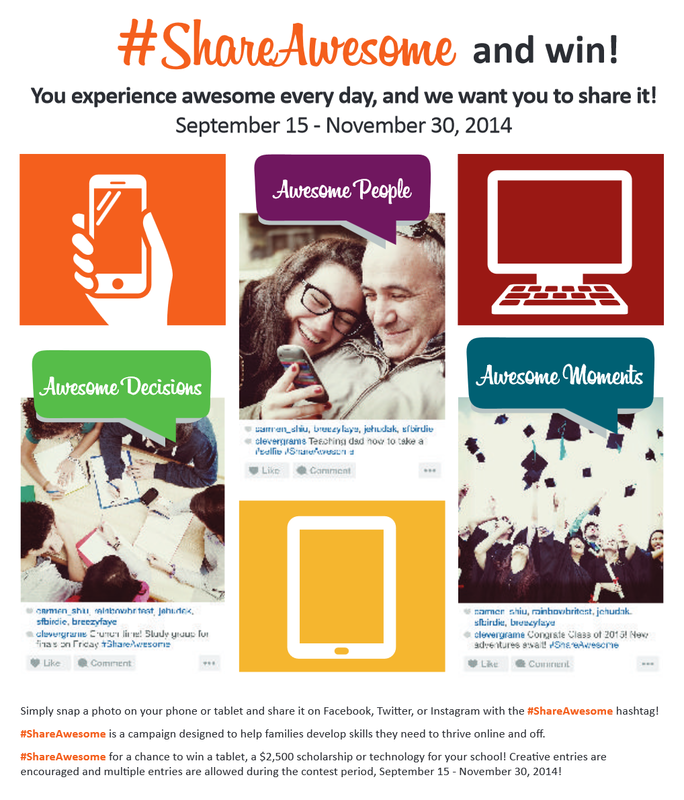 Students who enter the #ShareAwesome Contest between September 15 – November 30, 2014 will have a chance to win fantastic prizes, including tablets and a $2,500 scholarship! How often do you #ShareAwesome? How do you encourage it with your children, tweens or teens? Sounds like a good program. No kids. I also love to see friends and family share their pictures and keep family's up to date. The social media is a good way to visit when everyone lives far away. Since kids grow so fast, keeping extended family happy by sharing pictures is a good thing.